Ontario Premier Doug Ford said today he has no further plans to shrink the size of municipal councils in this province. That message came while Toronto's council debates legal action against the government on this very issue. 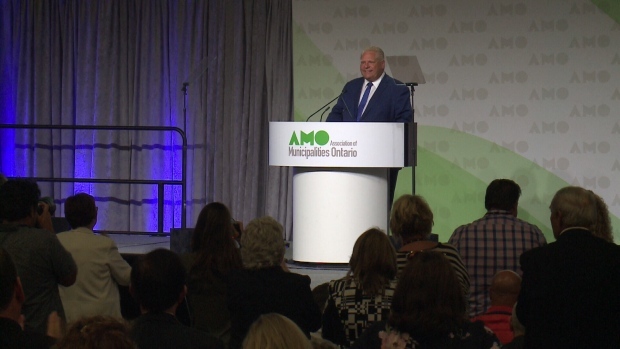 Doug Ford was in Ottawa today delivering a speech to a room full of municipal politicians, many of them running for re-election in a couple of months. But it was the way the premier phrased that "promise" that had some questioning what's coming down the pike. It was a warm greeting at the Association of Municipalities Ontario (AMO) for a former council colleague; now premier of Ontario. Doug Ford told the municipal politicians their work is critical to building stronger communities. as he did Toronto, cutting the number of council seats there nearly in half. 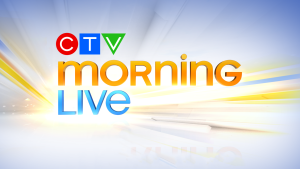 A special council meeting was underway today in Toronto where the city was weighing its legal options against the province, just as the Premier was speaking here in Ottawa. Ontario's former premier, also in Ottawa today, said the move has created chaos in Toronto and uncertainty elsewhere. On the cannabis front, Ford repeated his promise to let municipalities opt out of retail stores but Ottawa's mayor was hoping for more specifics. It's an issue smaller communities are grappling with as well, uncertain about who will fund the policing of pot shops and how the "opt out" would work/. The question of whether to opt out will really be up to individual councils. Ontario just weeks away from an election and clearly this will be one hot topic for discussion.